With Windows Phone 8 now officially released, everyone is looking at Microsoft's partner to unlock the potential of the new platform. We already know that we should expect to see the first WP8-powered smartphones in the next week, so it's time we learned pricing specifics. 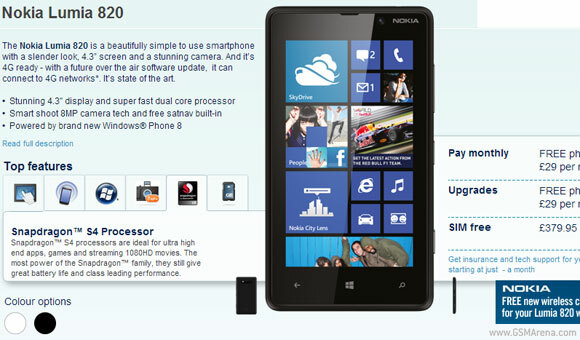 Carphone Warehouse has released the info about the Nokia Lumia 820 in the UK.